I just finished one of my continuing education classes I’m required to take every two years to retain my real estate license, and this most recent class was about today’s topic: real estate contracts. Something, in particular, blew me away about this class: Despite the fact that all the agents in the audience had a least a couple years’ worth of experience, about 90% of them knew very little about the contracts we use day in, day out. I bring this observation up for a couple of reasons. First, if you’re a consumer, you should know that just because someone passed their real estate license exam doesn’t make them qualified to help you buy or sell a house. Nor are they automatically qualified if they’ve been in the business for five or 10 years. Out of the 40 agents in this class, only three had been in the business for 20 years or longer. I was one of them, and all three of us knew every provision and every term of every contract. By contrast, most of the other agents couldn’t even describe what the word “contingency” meant, or why a date and time are needed next to the duties owed form. It’s important to know about this form, because it’s a document that needs to be signed before you go into a listing agreement or purchasing agreement. More specifically, it outlines who’s representing who in the transaction and what their duties are. Second, it got me thinking that we have to find a way to get agents better educated. Too many brokers who have little-to-no training themselves are opening up brokerages and then hiring people without taking the time to teach them the basics. To me, the scary part is that the consumers are the one who will ultimately be hurt by this. If you hire someone who doesn’t know the basics of the real estate business, you’re the one who’s exposed. For example, I got a call this morning from a lender friend of mine who told me he’s doing a loan that won’t close on time for a buyer whose agent knew it wasn’t going to close on time when they wrote the offer. The buyer’s agent was new to the business, and he wrote a very attractive offer that, unfortunately, also had a very short closing window. The sad part is that the seller’s agent was a competent, experienced agent who knew what would happen but didn’t do anything to reach out and amend the situation. The seller’s now planning on canceling the transaction, and the buyer will lose their earnest money deposit. If you’re a real estate agent, make sure you take the time to learn the business and learn your contracts. You should know every paragraph and every sentence of them. If you don’t understand them, get in touch with a veteran agent or someone else who can explain things to you. This business attracts a lot of people because they like the idea of having the freedom to control their own schedule and making a lot of money. The reality, though, is that the real estate business is about looking out for other people’s best interests. Ultimately, the undoing of a real estate agent comes from not being engaged in learning the business. If you’re a buyer or a seller, ask your agent simple questions about your contract during the home sale process. If they don’t know about that stuff backward and forwards, they’re just pretending to be a real estate professional. Also, don’t just hire someone because you like them or they’re a family member. If you have any questions or want more information, feel free to send me an email or a phone call. I look forward to hearing from you soon! Hockey Season is officially coming to a close, which can only mean one thing: the spring market is here! With that, I wanted to reach out to you for a small favor. I hope you have appreciated the video emails I send out regularly each month addressing trends in, changes to, and tips for navigating the world of real estate. This is where I would like your help. Rather than simply guess what's on your mind, I want to reach out and ask you what questions you have about real estate. Are there any concepts that confuse you? Are you curious about the market in your particular area? I would love to answer your specific questions in my videos so other people with similar questions can benefit from them too. To give back to our community, our team decided to partner with the American Red Cross for a blood drive. We have been given so much from the community around us, and now it’s our turn to give back. To show our support, we held a blood drive with the American Red Cross. This is just one of the many ways we hope to show the community that we care. Thank you to all who participated in helping us save lives. We will be hosting more blood drives in the future, so stay tuned. To see a recap of the event, watch this short video. Pull into your private oasis on nearly a quarter acre in highly desired, guard gated Rhodes Ranch. 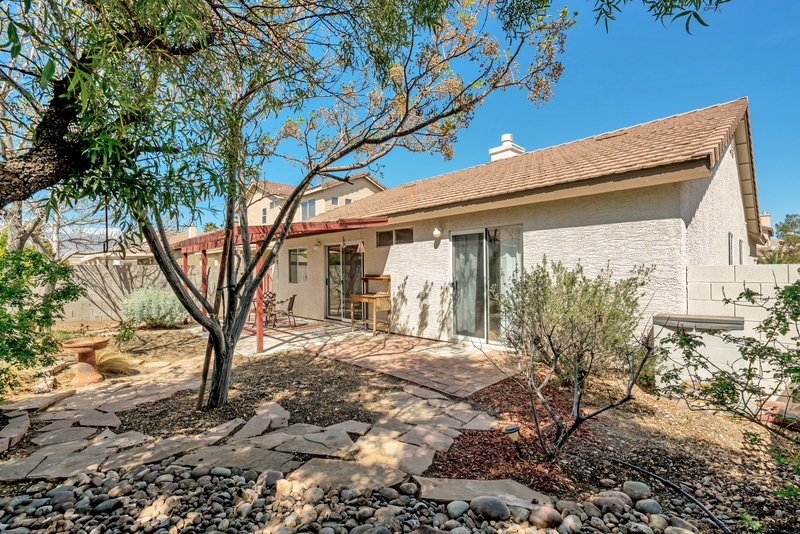 This gem is nestled at the end of a Cul-De-Sac on an over sized lot, with cultivated desert landscaping providing privacy beyond imagination. 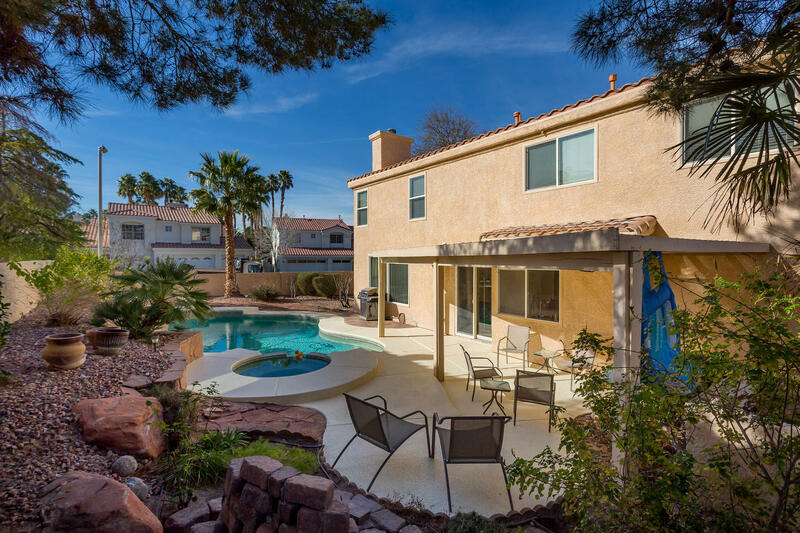 Enjoy moonlit nights gazing up through the windows of your 19 foot vaulted ceilings in this absolutely stunning home. Smart home technology was on full display at CES 2018. Here were some of the best new products we saw. We recently attended CES 2018 and made sure to check out the latest and greatest in smart home technology. We’re here to give you the highlights today. One big thing we saw was a lot of smart appliances. Many were connected via the Google assistant. For example, an oven/microwave combo we found allows you to preheat your oven, reheat your leftovers, or add to your shopping list with a simple voice command. One really cool feature we saw was a smart fridge that keeps track of your groceries and gives you recipes based on what ingredients you already have in the fridge. It scans the food and spits out the recipes. The future is coming at you fast, folks! Smart locks were another big-ticket item here. Home security is as advanced as it's ever been and we saw some amazing products. One used a facial recognition scanner to unlock the door, another used license plate recognition to open and close the garage door for you when you get home. Another one of our favorite smart home products was a bathroom mirror embedded with a computer that allows you to listen to music and watch the latest news as you shave or brush your teeth. To get a closer look at all of the amazing things we saw at CES 2018, make sure to watch the full video above. In the meantime, don’t hesitate to give us a call or send us an email. We look forward to hearing from you soon. What does Las Vegas look like from above? Today I went to All In Aviation to find out myself. Today I’m here with Paul from All In Aviation to talk a little bit about what they do here. All In Aviation is an exclusive boutique flight training center where you can learn how to fly and rent planes, including the Cirrus SR22. The Cirrus SR22 is the only airplane in the world with a parachute. During my visit to All In Aviation, I was lucky enough to take a ride in one. With its all-leather interior, being in this plane felt a little like riding in a Tesla. Seeing Las Vegas from above was an awesome experience. Seeing Las Vegas from above was an awesome experience. The views were truly amazing. I definitely recommend checking out All In Aviation for yourself.